As daylight transitions to nighttime “electric daylight,” the cosmos above never fully reveal themselves to most of us. According to the article, The End of Night, in the digital journal, aeon, “More than 60 per cent of the world, and fully 99 per cent of the U.S. and Europe, lives under a yellowy sky polluted with light.” Satellite imagery reinforces this statistic. Our collective loss of darkness is taking its toll on a wide range of wildlife as well as human health. Animals, such as birds, that rely on the night sky for navigation are especially vulnerable to the perils of light pollution. A multi-year study of the annual 9/11 “Tribute in Light Memorial”—88 powerful searchlights that point straight up into the night sky each September, 11—has strangely offered an opportunity to measure the stunning quantity of disoriented birds that are drawn to the artificial light produced by this event. Navigational orientation is quickly restored once the spotlights are turned off for a period of time. Lights Out programs across the country work to increase awareness of the millions of birds that die each year from building collisions due to navigational confusion caused by nighttime illumination. These programs benefit more than just birds. All kinds of creatures, from sea turtles, to puffins, zooplankton, insects, coral reefs, and more, are adversely affected by light pollution. Night-foraging animals such as bats and mice that rely on the cover of darkness are more vulnerable due to the glow of lights that make them easier prey. Even fireflies are thought to be suffering from the effects of light pollution. 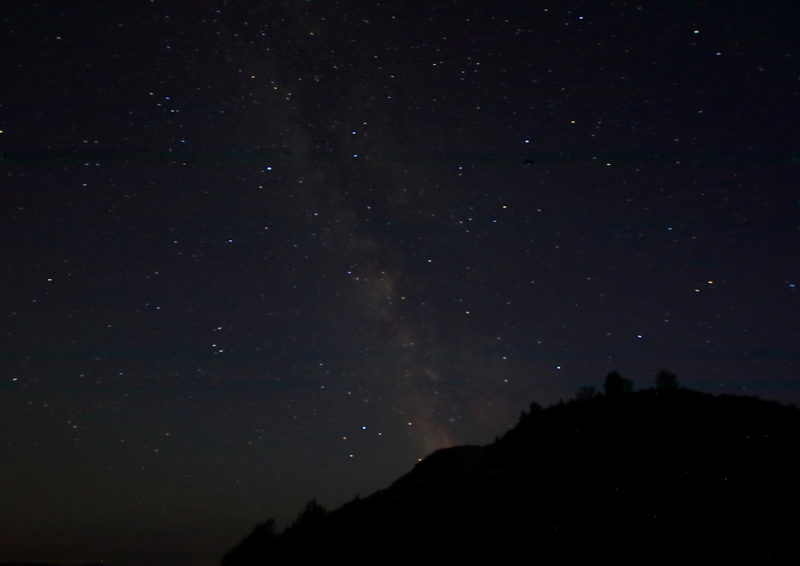 The International Dark-Sky Association educates about the many benefits of natural darkness, muted lighting, ecolighting, and more. A collective turning off of nighttime lights in office buildings, the use of residential outdoor floodlights only when necessary, the closing of drapes at home (to keep the effects of light inside), and the turning off of unneeded home lights, all help to mitigate light pollution. Installing shielded, downward facing exterior lighting is another of the Association’s many suggestions. As is becoming a “dark sky” activist such as helping to pass ordinances that require billboard lighting be pointed downward rather than upward, whereby the collective glare and glow add to that yellowy polluted sky. 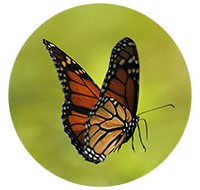 Be sure to sign up for The Butterfly Effect journal to learn how to green your neighborhood year-round.